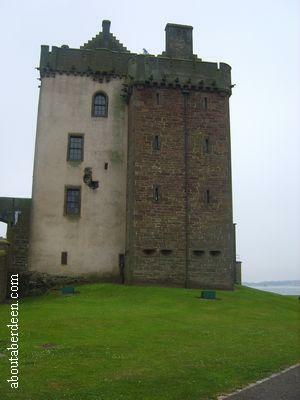 Broughty Castle is an unusual Scottish castle because it is now part owned by the local council and Historic Castle. 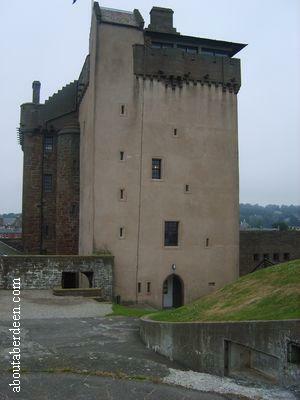 The outside of Broughty Castle is maintained by Historic Scotland whilst the indoor museum dedicated to life throughout the years in Broughty Ferry and the history of the Broughty Castle and is run by Dundee Council. There is car parking next to Broughty Castle near Dundee and any visiting children may like to visit the large playground across the road. 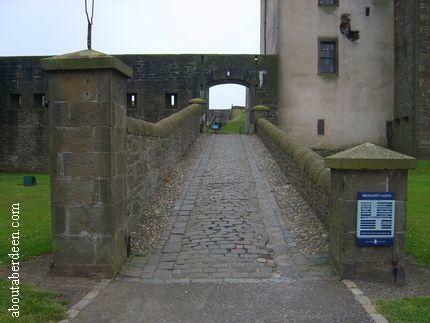 Entrance to Broughty Castle grounds is via a paved drawbridge area and under the portcullis. This then takes you to the Broughty Castle courtyard. To the left are some canons which makes a great photo opportunity for kids. Entry to the inside is around the right corner. The first flight of stairs is narrow and will have people coming up and down whilst the other steps are dedicated to just a one way flow of traffic. The stairs are steep and narrow and unsuitable for disabled visitors. Admission to Broughty Castle is free and there is a free information sheet with a brief history of Broughty Ferry and Broughty Castle. Aboutaberdeen could not find a guide book to purchase. Donations for the upkeep of Broughty Castle is made welcome and there are several donation points throughout the castle including at the guide point at the start of the self walk tour. The first room, which would have originally been the Hall of Broughty Castle, brings you a history of the local area including local buildings, transport, industry and a general history of Broughty Castle. 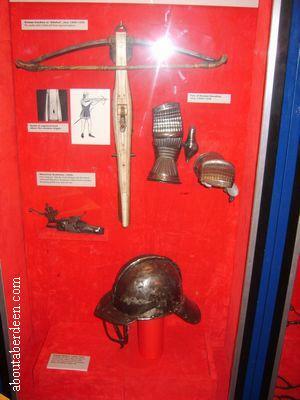 This continues into the upper floor room with artefacts such as weapons used throughout the time when Broughty Castle was inhabited and defended. These upper rooms would originally have been bedchambers. There is a gift shop and small cafe area with drinks and food from a vending machine at BroughtyCastle. Toilets can be found on the second floor. 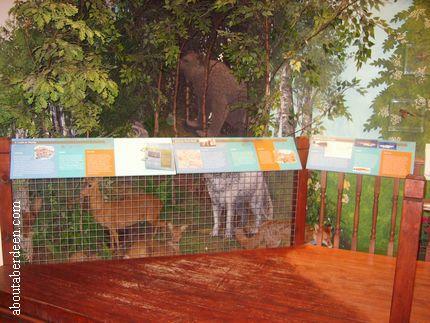 There is a display of animals that would have roamed wild in the area of Broughty Ferry. The upper floor has an observation area with binoculars giving some stunning views across the Firth of Tay and the Monifieth Bay. Dolphins can sometimes be seen. 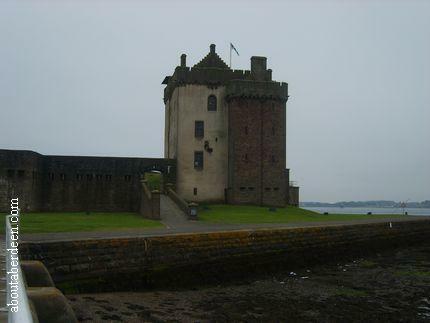 The history of medieval Broughty Castle dates back to about the year 1454 when the Fourth Earl of Angus built a castle at the strategic place at the mouth of the Tay. There have been several owners since of Broughty Castle. One owner was granted permission to build a tower house in 1490. This was Lord Gray and he shaped Broughty Castle into how modern day visitors see the castle. This important building work in the history of Broughty Castle is thought to have taken about six years to build. It had four storeys including vaulted basements and rectangular shaped. In 1547 English soldiers occupied Brought Castle and dug a ditch across the landward side of the promontory during the wars with England. It was not to be until February 1550 that Broughty Castle was retaken by Scottish soldiers with the help of French soldiers. Broughty Castle fell into ruin at the end of the 18th century. Edinburgh and Northern Railway Company built a harbour for a railway ferry next to Broughty Castle and purchased Broughty Castle. It was then bought by the War Office in 1855 during the Crimean War so that the area could be defended against the Russian Navy. The area was not fortified until 1860 not because of fear of attacks from Russia but from France. More building work and improvements to Broughty Castle took place during this era by Robert Rowand Anderson. This included the addition of a new wing and improvements to the courtyard. Emplacements for nine guns and a caponier was added. Between 1886 and 1887 the castle was used to house submarine miners whose role was to lay mines in the Tay to defend the area from attack. The gun emplacements were improved and a magazine added between 1889 and 1891. More defence improvements were made during the Great War and then during the Second World War which included the building of a defence post at the top of the tower of Broughty Castle. In 1969 it was turned into a museum for the local area. From April to September the Broughty Castle opening times are from 10am until 4pm Monday to Saturday and from 12:30pm until 4pm on a Sunday. Broughty Castle closes on a Monday from October to March. Broughty Ferry is a small town located to the East of Dundee. Directions to Broughty Castle are clearly signposted as you make your way along the A930 towards Carnoustie. When you reach Broughty Ferry follow the sign posts for Broughty Harbour and there is a car park by Broughty Castle. 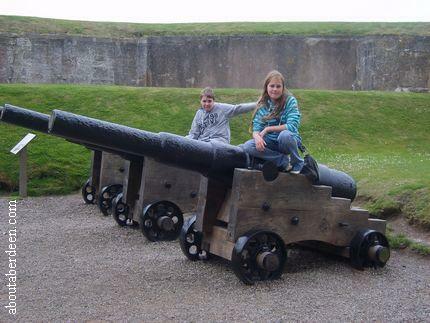 Here are some more photos of Broughty Castle. It was an overcast day when www.aboutaberdeen.com visited so the pictures came out a bit dark. If you have some of your own photographs of Broughty Castle that aboutaberdeen.com can use on this page then please contact me.